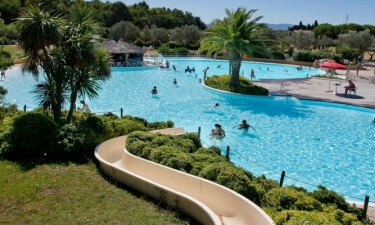 Le Capanne Campsite is a leading LUX-camp site, nestled between the sea and the rolling hills in the Tuscan countryside. Campers who arrange a mobile home at Le Capanne Campsite will find that the site features everything they need to enjoy the camping holiday of a lifetime. 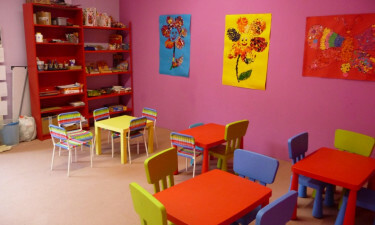 What Makes Le Capanne Campsite So Special? Visitors who want to spend time relaxing are sure to enjoy the onsite wellness centre. Regular group yoga sessions are held here to really help guests get back in tune, while unwinding with a massage from one of the qualified masseurs is the perfect way to get the camping holiday off to the right start. Aqua aerobics sessions are held in the outdoor swimming pool and people of all ages are welcome to attend these fun fitness classes. People who want to bring their four legged friends to the luxury camping site will find that they are welcome to stay inside the rented mobile homes and other types of accommodation. There are also special amenities for dogs to use on the site itself, including a designated park where your pet can get some exercise and dog showers to keep them cool and clean. There is even a special swimming pool reserved for pets so that our canine companions do not have to miss the fun. 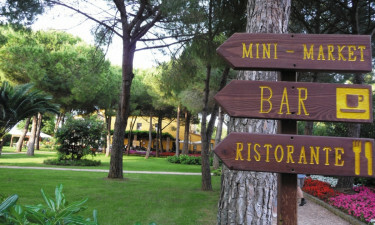 Tuscany is famous for its delicious cuisine and guests will have the chance to sample a range of traditional dishes made with fresh local ingredients. The restaurant on site features a large patio area where guests can simply lounge and soak up the atmosphere while tucking into dishes such as pizza, kebabs or a handmade ice cream from the nearby parlour. Visitors who enjoy catering for themselves will be able to make use of the onsite charcoal grill. Cooking sausages, steaks and other barbecue ingredients that can be bought from the site’s large supermarket is a good bonding experience for families to enjoy together. The supermarket stocks a wide range of other Italian products that are just waiting to be sampled; guests will also find other essential items here such as sun protection lotion, toiletries and postcards.